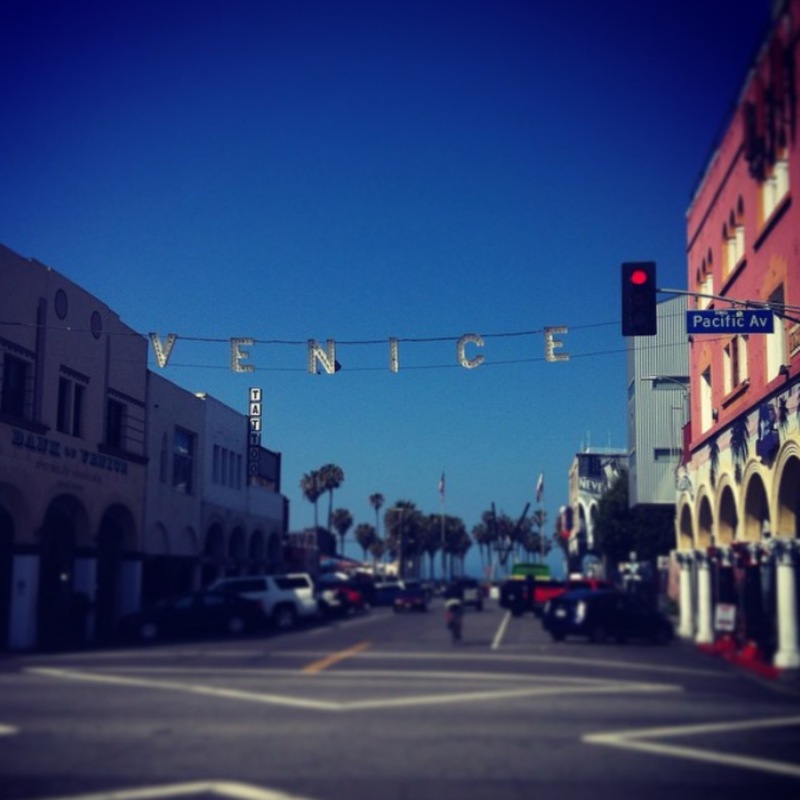 We wanted to stay at Venice beach! Why? » To have access to some of the finest shopping and dining spots. Living the good life; waking up, having breakfast with a beautiful view, go for a run, go to the beach to swim and surf! 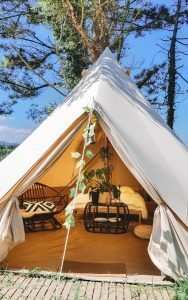 This is how I would like to start my day each day! 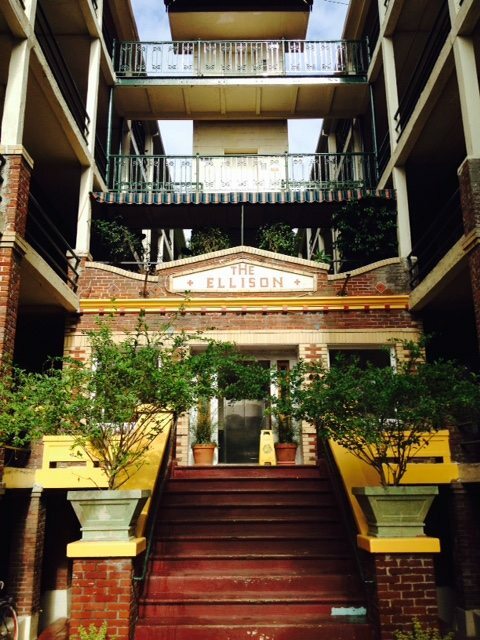 We ended up at this very cozy apartment via Air BnB, The Ellison. 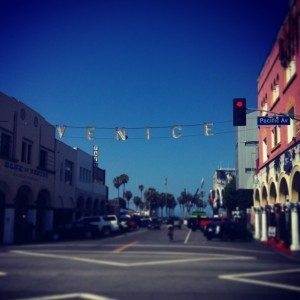 The apartment is right at Venice beach and significant cheaper than hotels in the area for only 54 euro per night for 4 persons. You can take a walk along the beautiful Venice Beach boardwalk. 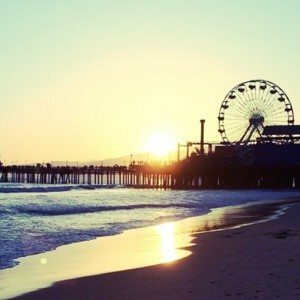 Shop, dine, listen to the musicians, see the street performers, go to the beach, visit the canals and lost but not least enjoy the breathtaking sunset with an impressive view of the Pacific Ocean! 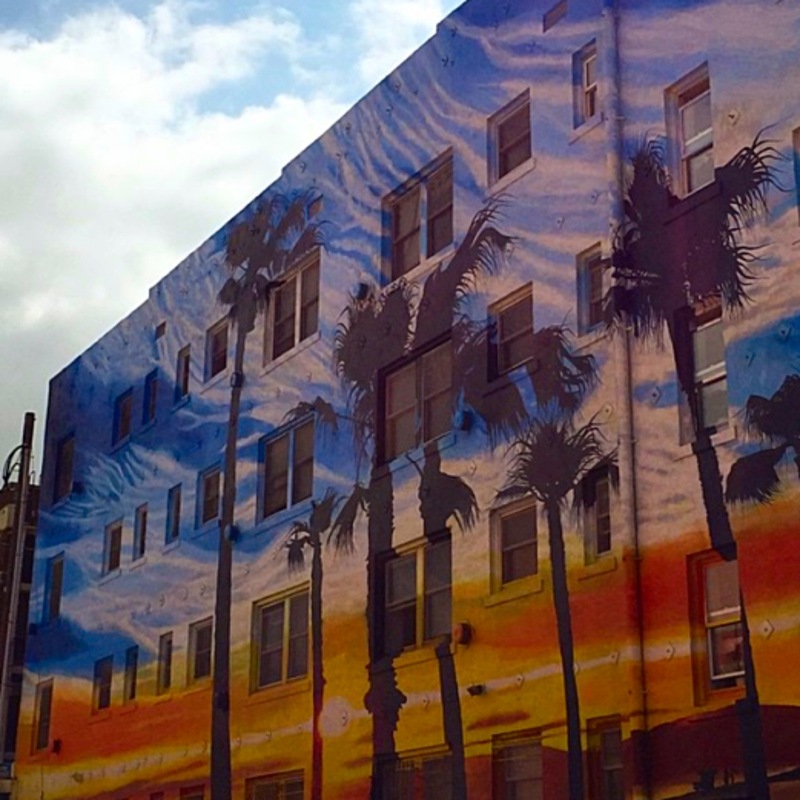 Los Angeles is one of the world’s capitals for street art. Artists around the world visit LA to leave their mark on the city. 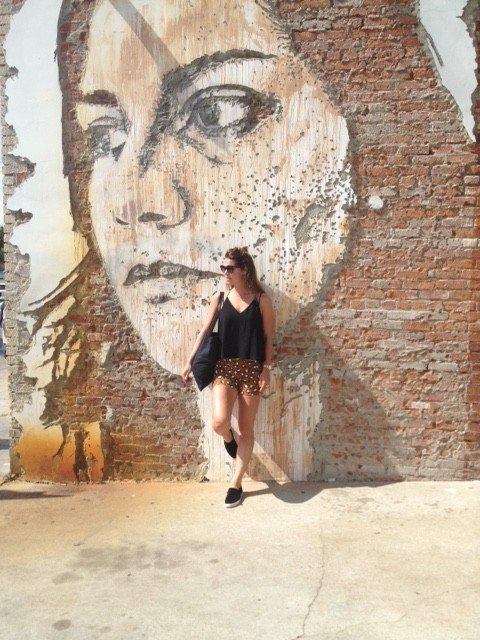 Definitely a must to Check out some Public Art Walls, which are temporary and so impressive! After our morning run we walked to Abbot Kinney boulevard, one of LA’s nicest areas in Venice with very cool shops and a few dozen of delicious trendy places to eat & drink. I have entered almost every shop and were all very inspirational. One of the stores that really got my attention was Toms, who give shoes to children in need. This flagship space is a retail shop, cafe and creative venue in one! 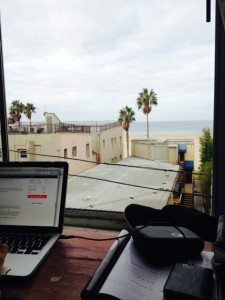 Every Friday of the month there’s an event – Abbot Kinney First Fridays (AKFF) – that started in 2008 with a small group of people in attendance and now thousands of people are joining! People come together to feature the best artists, gifts, products, music and you will see many food trucks parked along the street, where they serve excellent food. The next one is on the 5th of June! There are many great hikes through the hills of LA, but Runyon Canyon Park is one of the most popular hiking destinations in Los Angeles. This Park is located in Hollywood on the east end of the Santa Monica Mountains and is providing hikers one of the best views over Hollywood! The entire track will take around 2 hours, where you have enough stops to make some nice shots. On top of the mountain on one side you will see the Hollywood sign in the distance and on the other side you will see the Pacific Ocean and Catalina Island (on clear days). 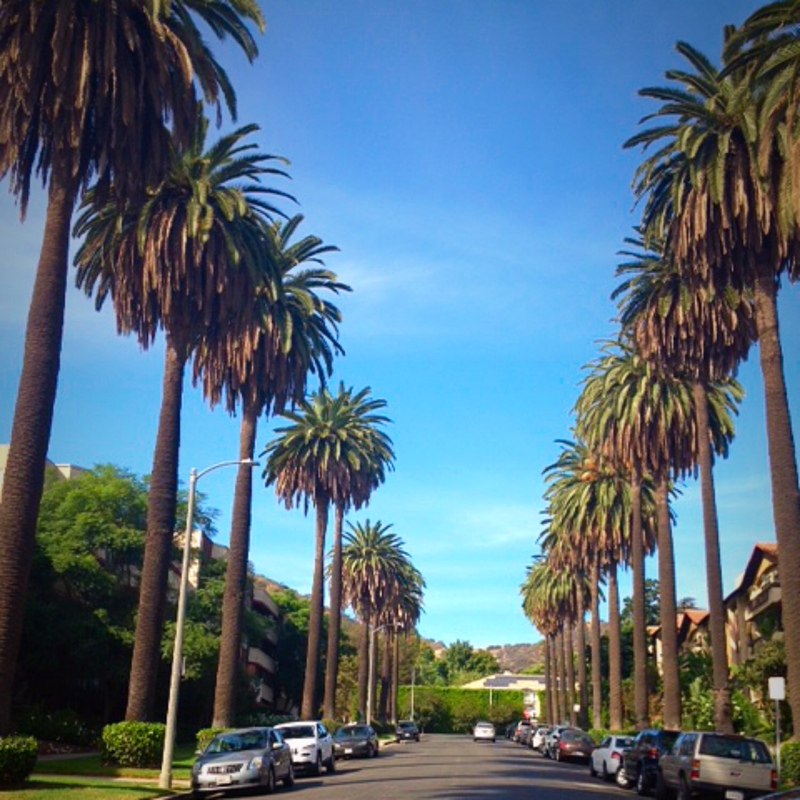 Beverly Hills attracts a lot of visitors each year, in the hope to catch a glimpse of famous actors & artists. Rent a car and take a peek at different spectacular elegant properties where palm trees are lined or do a tour if you want to find out where celebrities live. We explored the neighborhood, that reminded me of 91210 – the good old times! We also passed by Rodeo Drive, perhaps one of most well-known streets in the world. A heaven for people who have a passion for fashion, known of the movie Pretty Women. 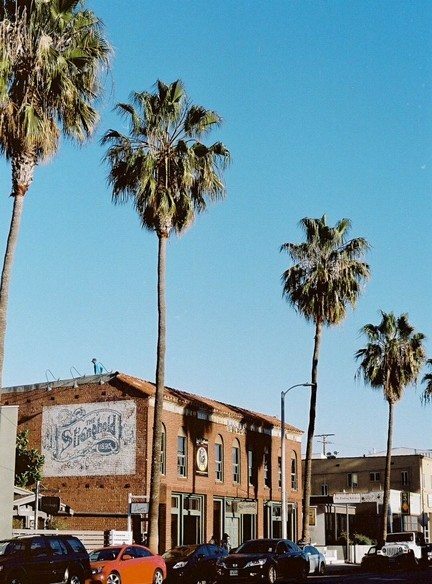 In my next blogpost you will find some of the best lunch & dining spots of LA. Check my first blogpost where your will find out what preparations are needed for this classic American road trip!